Thinking about visiting Christchurch? Located on New Zealand’s South Island, it is a city that offers so much to see and do, from fine examples of natural beauty through to dozens of cultural attractions. Overcoming several devastating earthquakes in recent years, the city is one destination that is certainly well worth exploring. If you’re planning a visit to the city, be sure to check out our top 10 things to do in Christchurch! 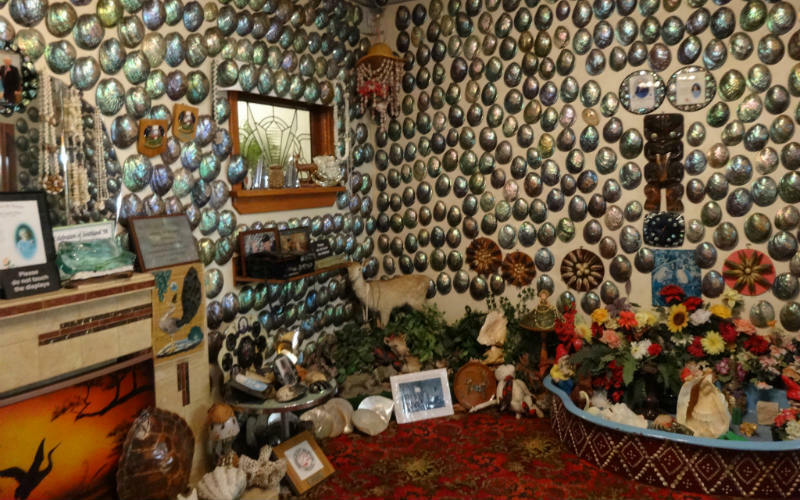 A special exhibition coordinated by the Canterbury Museum, Quake City documents the destruction caused by the September 2010 and the February 2011 earthquakes and the resilience that the local community showed in its aftermath. Explaining the science behind the natural disaster and exhibiting objects that have come to be associated with it, such as railway station clocks that stopped at the time of the quakes and the spire of Christchurch Cathedral, Quake City is informative, reflective and offers a hopeful window into the city’s future and reconstruction. Quake City, Christchurch, New Zealand. Image Credit: Canterbury Museum. 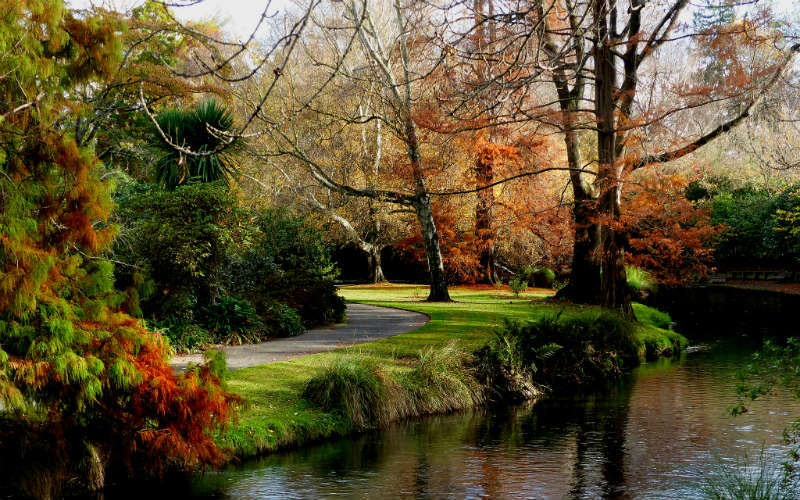 Founded in 1863, the Christchurch Botanic Gardens are a beautiful green space set in the heart of the city. Comprised of 10 different themed gardens set across 21 hectares of landscaped grounds, it’s a great place to head for an afternoon stroll, a picnic with friends or to simply admire the beauty of the blooms and trees scattered throughout. From spectacular native species and a heritage rose garden through to plants originating from across the globe, including Asia, Europe and beyond, there’s so much to discover throughout the gardens. Christchurch Botanic Gardens, Christchurch, New Zealand. Image Credit: Bernard Spragg,. NZ / CC0 1.0. The only open-range zoo in New Zealand, Orana Wildlife Park is the place to head for unforgettable animal encounters. Home to more than 400 animals from over 70 different species, there are a range of amazing opportunities to get up close with creatures great and small from across the globe. Take some time to admire New Zealand’s only gorillas and orangutans, hand feed a giraffe, meet a rhino, or take part in a thrilling lion encounter that will see you get up close and personal with some incredible big cats. 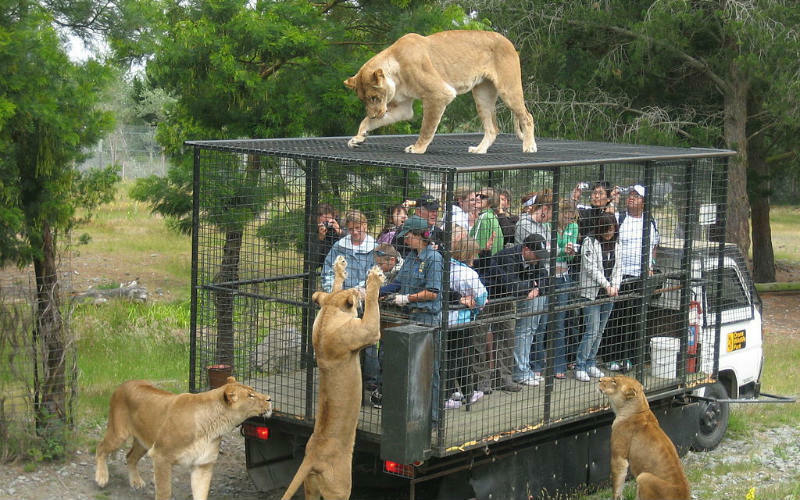 Orana Wildlife Park, Christchurch, New Zealand. Image Credit: Greg Hewgill / CC by 2.0. 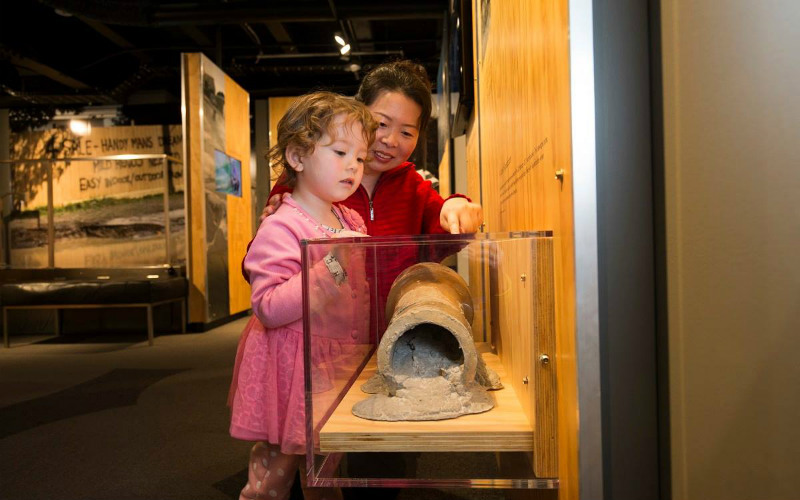 Boasting a fine collection of artefacts that span New Zealand’s natural and cultural history, Canterbury Museum is a great spot to visit if you’re wanting to learn more about the region’s heritage and the people and events that have helped to shape it over time. Featuring a wide selection of permanent exhibitions focusing on subjects as broad as Antarctic exploration, Asian arts, geology, and early European settlement, as well as an ever changing lineup of special exhibitions, there’s so much learn and discover across the museum’s galleries. Canterbury Museum, Christchurch, New Zealand. Image Credit: amanderson2 / CC by 2.0. Offering breathtaking panoramic views of Christchurch, the Canterbury Plains and beyond, a ride on the Christchurch Gondola provides a truly spectacular opportunity to see the region from a different perspective. 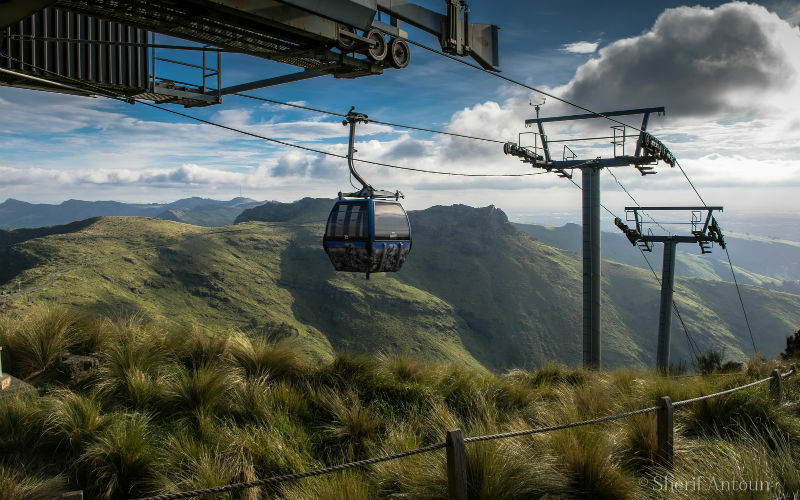 Glide your way to the summit of Mount Cavendish, soaking up stunning views of the area as you go, before taking some time out at the Red Rock Café, the Shop at the Top (a souvenir shop) or the Time Tunnel (an electric cart ride showcasing the history of the area). A number of walking and mountain bike tracks are also found at the summit, offering a variety of ways to make the most of Christchurch’s natural beauty. Christchurch Gondola, Christchurch, New Zealand. Image Credit: Sherif Antoun / CC by 2.0. 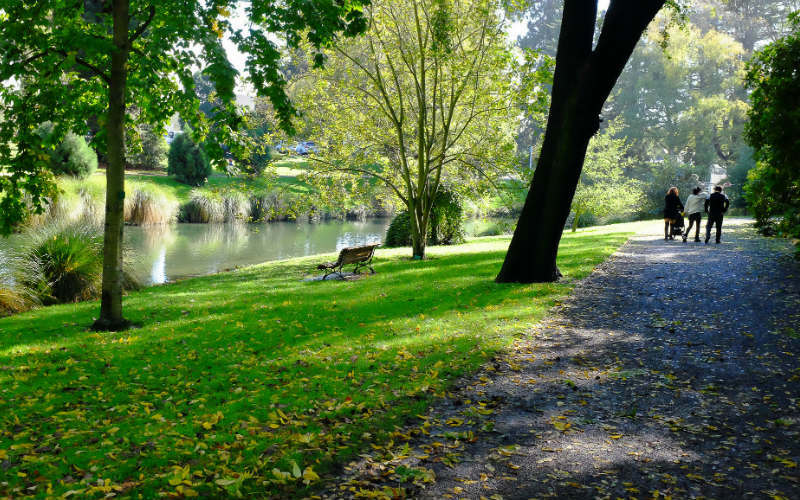 Encompassing the Christchurch Botanic Gardens and Canterbury Museum, Hagley Park is an impressive urban open space set just moments from central Christchurch. Covering more than 164 hectares, there are plenty of wide open spaces perfect for getting active, setting up a picnic or simply enjoying a leisurely stroll. The home of Hagley Golf Club, several netball courts, a cricket ground and more, the park, which was created in the mid-1850s, is a local hub of recreation offering plenty of great ways to while away the hours in the great outdoors. 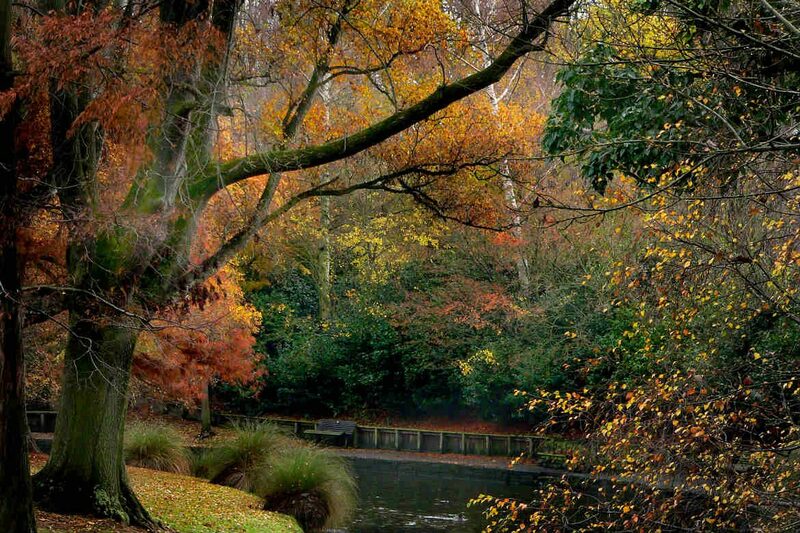 Hagley Park, Christchurch, New Zealand. Image Credit: lensmate / CC by ND 2.0. Another of the city’s unique experiences, an Avon River punting tour is a relaxing way to explore one of Christchurch’s main waterways, the Avon River, as it winds its way through the Christchurch Botanic Gardens. 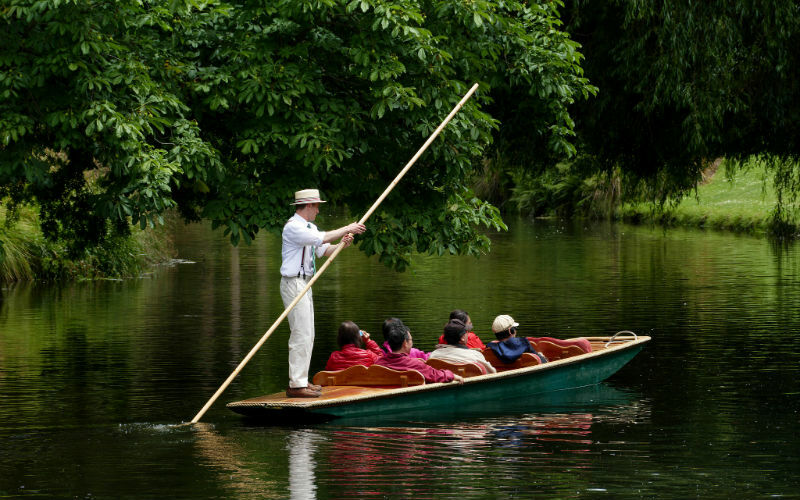 Take a seat in a handcrafted flat-bottomed boat and unwind as an experienced punter in traditional Edwardian costume uses a long wooden pole to steer and propel you along the river. A great idea for a romantic outing and an unusual activity to enjoy with the kids, a punt along the Avon is certainly well worth considering next time you’re in Christchurch. Punting on the Avon River, Christchurch, New Zealand. Image Credit: Bernard Spragg. NZ / Public Domain Mark 1.0. 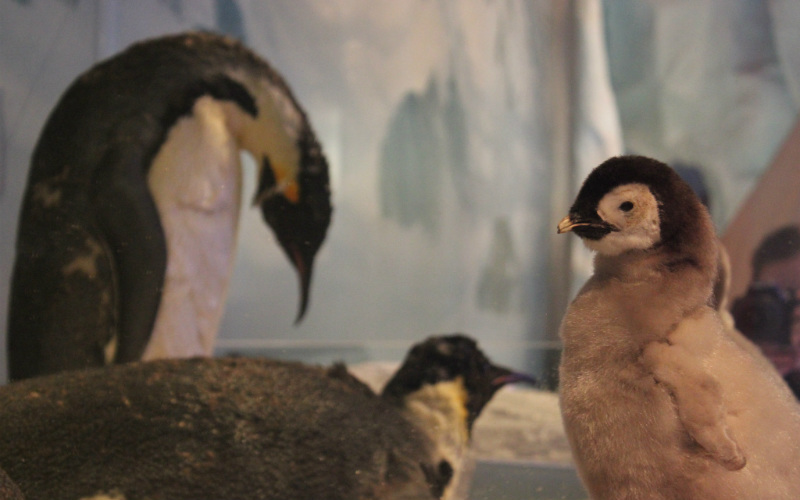 One of Christchurch’s major attractions, the International Antarctic Centre was created to help show visitors how important the city, which acts as a gateway to Antarctica, is to the scientific research conducted on the icy continent. Through engaging exhibitions, unique experiences, such as the chilly Antarctic Storm (an indoor polar room), and incredible media productions, visitors are exposed to the stories of famous explorers, the rugged beauty of the continent and the remarkable plants and animals that call it home. A great attraction for all ages, a visit to the centre is a great way to spend an afternoon. International Antarctic Centre, Christchurch, New Zealand. Image Credit: _somaholiday / CC by SA 2.0. With day-long tickets giving you the freedom to hop on and off as you please, a ride on the historic Christchurch Tram is a fantastic way to get to know the city’s centre as you pass by landmarks, such as the Canterbury Museum, New Regent Street and the Avon River, while learning more about the city from the tram’s knowledgeable drivers. 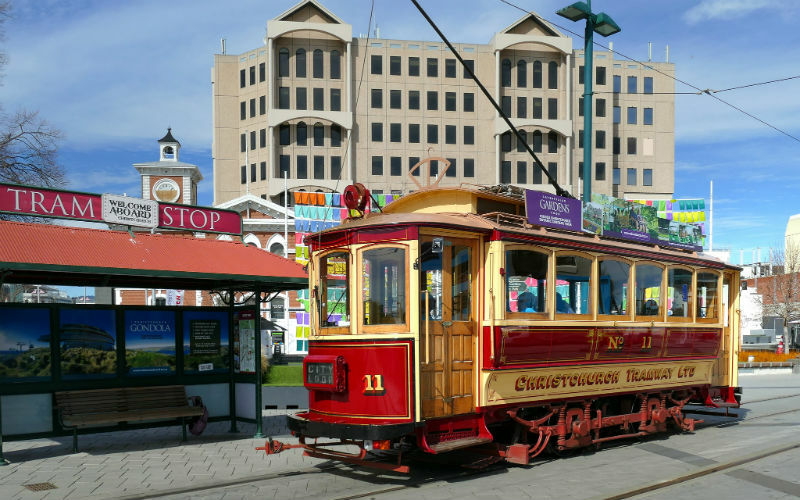 17 stops are scattered throughout the CBD, making it easy to discover Christchurch at your own pace, in whichever way you please, and in spectacular colonial style. Christchurch Tram, Christchurch, New Zealand. Image Credit: Bernard Spragg. NZ / Public Domain Mark 1.0. Constructed as a means to remember the lives lost during the 2011 Christchurch earthquake, 185 empty chairs is an unofficial memorial that has stood since the first anniversary of the natural disaster in 2012. 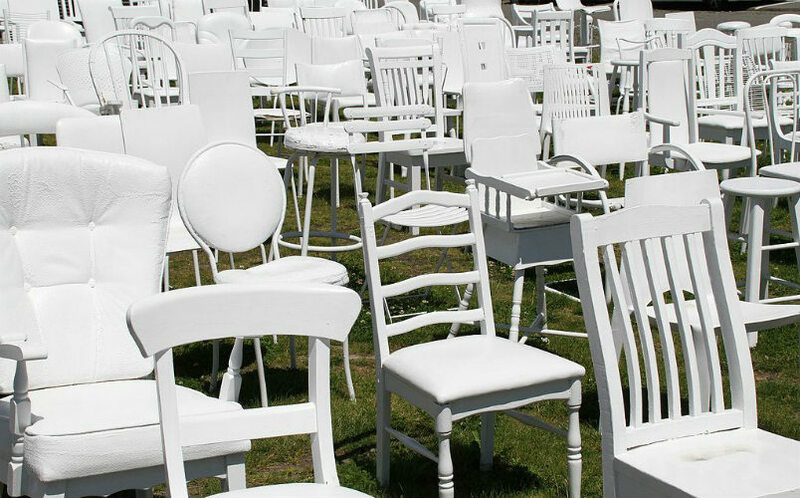 A collection of 185 ordinary, everyday chairs painted with two coats of white paint, the haunting installation, created by local artist Peter Majendie, is a place of reflection and an acknowledgement that so many lives were lost or disrupted by the tragedy. Created to be a temporary installation, there are no certainties of how much longer this moving artwork will stand, so it’s best to visit while it remains. 185 Empty Chairs – Earthquake Memorial, Christchurch, New Zealand. Image Credit: Tony Hisgett / CC by 2.0. Ready to discover Christchurch? Find cheap flights to Christchurch, hire cars and more with Webjet today! Feature Image Credit: Bernard Spragg. NZ / CC0 1.0.